Essential Oils are a big part of my life! And now, I want to share them with you! I have used Essential oils for about 20 years and I currently use doTERRA essential oils due to the quality I haven't found anywhere else! I use Essential oils to replace toxic cleaners, in my skin care products, as an air freshener and when I'm not feeling well. Toxins are everywhere, so imagine if you had a little magic bottle to replace the toxins in your life. Essential Oils could be just what you are looking for! If you are looking to live a more natural life, reduce toxins, boost your energy, and support your health with healthy, natural alternatives, then keep reading! If you are not yet familiar with Essential Oils, then this will be a short lesson with some simple tips to get you started. I also have some free courses as well! 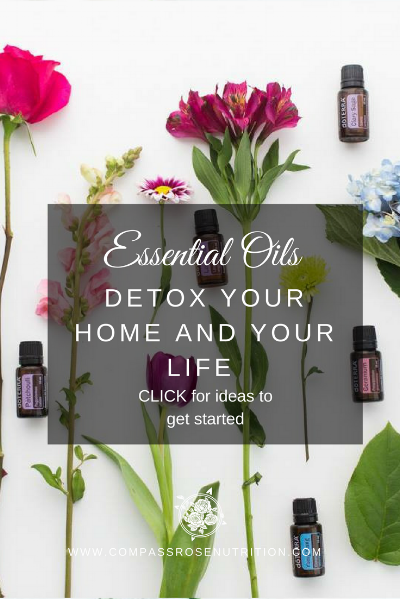 You can view my online Essential Oil courses here: Detox with Essential Oils, Clean with Essential Oils and Cooking with Essential Oils. Essential Oils are safe and effective when used properly! You can use Essential Oils in your toxic free home SO many ways. I clean my bathroom with a mixture of Essential Oils, vinegar and water! It looks and smells super clean and fresh after! I clean my kitchen with a similar mixture as above, and also to polish my sink, and the fridge and use a mixture of Essential Oils and baking soda in the fridge. I use as an air freshener by putting essential oils into a diffuser. The diffuser just has water and Essential Oils and you can move into whichever you room you like, and change the scent out as often as you want. This is a great replacement to the chemical sprays that are used in many homes and offices. In my dryer with wool dryer balls instead of toxic dryer sheets. I change the scent out depending if its bedsheets, towels or clothes and love to have fresh smelling laundry with my choice of scent! In my skin care products. I make body moisturizers, face serums, hair masks and more by mixing with other natural oils such as coconut oil. Want to learn more about some of my personal favorite Essential Oils? Its hard to pick favorites... but here are a few that I use on a very regular basis. Have you ever been into a Eucalyptus steam room at a spa? It smells so amazing! 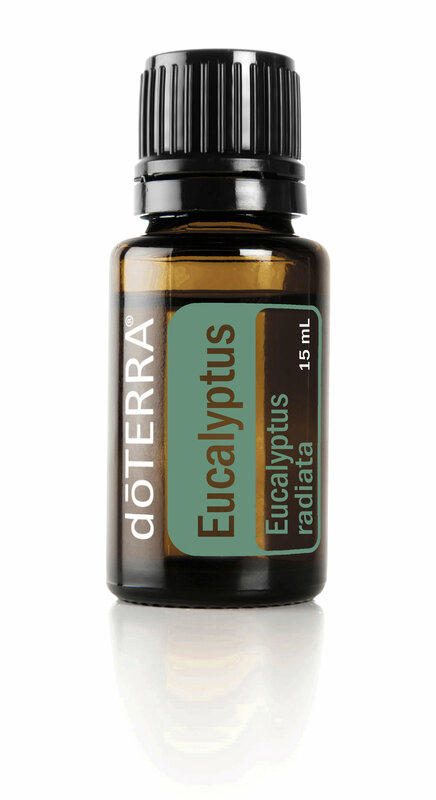 Eucalyptus Essential Oil is great to clear the mind, clear your breathing and promote feelings of relaxation. It can also be used to clean surfaces and the air. 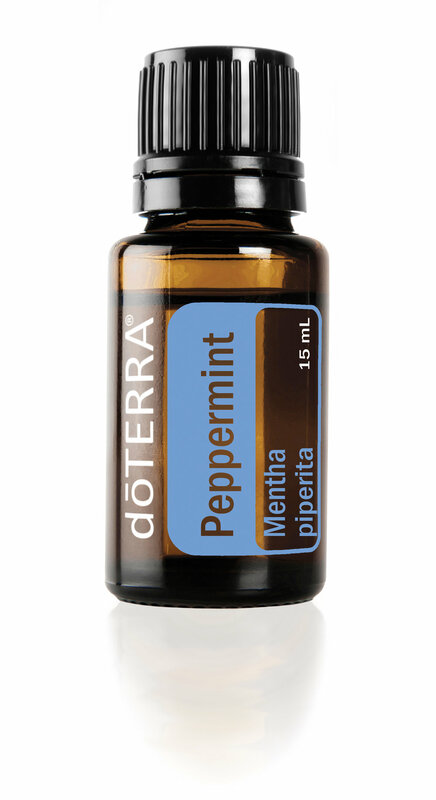 Peppermint Essential Oil is often described as Cooling, Minty and Fresh! It helps alleviate occasional stomach upset and promotes healthy respiratory function. There are so many ways to use this oil and it smells fantastic! doTERRA On Guard is a powerful proprietary blend that supports healthy immune function* and contains cleansing properties. Visit my online store to purchase your single Essential oils, oil blends, oil kits and more. Essential oils are easily absorbed by the skin and can be safely applied topically. Mix 1-2 drops with a teaspoon of coconut oil to dilute before putting on your skin in case of sensitivity. Do you already LOVE Essential Oils? Do you Want to turn your passion into a profitable business? If you are nodding your head, or even kind of like the idea, then keep reading! If we don't know each other very well yet, my name is Gaylene Gomez and I’m a proud doTerra Wellness Advocate. I have been using doTERRA Essential Oils for 2 years and and am looking for health-minded people to join my growing team. I'm the owner of Compass Rose Nutrition and Wellness and a Certified Holistic Nutrition Consultant. I help women beat the bloat and boost their energy with healthy eating and essential oils. A healthy life can not be achieved by diet alone. We need to also sleep well, exercise, eat whole foods and reduce the toxins in our life. My goal is to help women live a more natural life and boost their energy and feel great again! Your very own website which you can share with your family, friends and online such as facebook. Access to our private business building Facebook group, where you can learn from others building a doTERRA business and ask questions 24 hours a day. Access to materials I have created for done for you programs, social media posts and lead magnets if you want to build your business online. doTERRA has given us tons more resources, class materials, photos and programs to use for our doTERRA business. Including doTERRA into my current business has given me the opportunity keep my home as non-toxic as possible while sharing my love for natural wellness with others and making money. Then I would LOVE you to JOIN MY TEAM. You can get started right away by completing this form below. Joining is simple! Read through these two options, and see which one sounds like a better fit for you. By enrolling with a wholesale membership you get access to all the discounts, perks and free products as mentioned above, but you will not be selling doTERRA as a business but you’ll save a ton of money on oils for your personal use (25% off retail!). You get all the info above PLUS my mentorship to help you build your business. You have the option to sell products and earn passive income sharing your passion. Signing up for your account requires a $35 once a year investment and choose your (Introductory Essential Oil Packet) Essential Oils upon checkout, OR choose an Enrollment Kit and the $35 join fee is waived. Fill out the form with your personal information, shipping information, and contact information. The “Enroller ID” and “Sponsor ID” boxes should already be filled in for you, but if not, enter “3181278” into both boxes to ensure that you join my team and receive my support. Select your Timezone and create your own password. Select your initial order. Choose one of these two options: the $35 Introductory Essential Oil packet plus any products you’d like to purchase a la carte, OR choose an Enrollment Kit and waive the $35 fee. Enrollment Kits offer a better value for your money. A great choice for absolute beginners who want to try out essential oils is the Essentials Kit, which comes with a diffuser, and some of the most popular Essential Oils to get you started. You can always choose a larger or smaller kit - whatever works for you. Set up your optional Loyalty Rewards. Joining this program gives you the opportunity to save a LOT of money. When you order regularly, Loyalty Rewards gives you back the free product and product credit every month. You’ll learn more about this through my mentorship and training, but don’t miss out on the huge savings! What's next? You’ll receive an enrollment email from me within minutes with all of the information you need to login to your Virtual Office and start using essential oils. I will also be in touch by email with a bit more information, your invites to my private Facebook group and we can set up a time to chat to get you started with your oils once they arrive. I can’t wait to share this journey with you! I would love to hear from you, remember try out those FREE classes I shared at the top of the post, and stay in touch so I can help you on your journey with Essential Oils. I'm excited to help you on your journey to a more natural lifestyle! I look forward to chatting with you soon. Want to save this for later? Click image below to pin it! Information on this website is for the purpose of sharing information only. It is not intended for diagnosis or treatment, nor is it a substitute for consultation with a medical doctor or health care professional. Readers are encouraged to investigate all ideas, products and/or services before committing to them. Authors will not be held responsible for any adverse consequences resulting from the use of any information on this website. This information is being provided to you for educational and information purposes only. It is being provided to you to educate you about nutrition and healthy eating and as a self help tool for your own use. It is not intended to diagnose or provide medical advice. This information is to be used at your own risk based on your own judgement. Products are provided without any warranties or guarantees. We make no warranties of any kind, either express or implied, including warranties of merchantability and fitness for a particular purpose. Products, Essential Oils and Supplements are to be used at your own risk based on your own judgement.